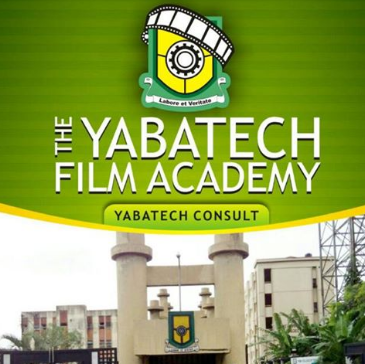 Yabatech film academy is set to start admitting students from next year (2016). If you have this burning desire to join the Movie Industry, this might just be the thing you have been waiting for. The Yabatech Film Academy (YFA) is Open to everyone from anywhere and from any background; the Academy offers a real chance for talented individuals to be part of our growing film industry. It is an intensive hands-on academy offering a range of courses from story/scripting, lighting, sound, cinematography, through film production & marketing, directing techniques and post production. As a student of the Film Academy, you will gain invaluable experience working alongside industry professionals who are respected practitioners in their fields. You will be offered hands-on filmmaking experience which will help you to develop practical knowledge and skills. You’ll be able to explore your own creativity and passion in a supportive and dynamic environment. Yabatech Film Academy is a film school that operates like a production company, fuelled by experienced filmmakers who are passionate on passing on their knowledge and expertise. Our tailored, practical and intensive training is designed to emulate the hard-working reality of the film and TV industry, as well as provide opportunities, choice, collaboration and progression for everyone we work with. Students have immediate access to the school’s fleet of cameras, including RED, Arri, Blackmagic, Canon and Sony high definition cameras, in addition to high-end lighting, sound and grip. All interested candidates are to get the application form for a fee of 10,000 naira only and a tuition fee of 120,000 naira. Wish you best of luck as you pursue your chosen career.